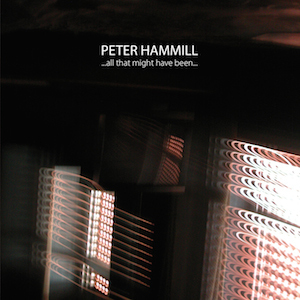 Reviewing a new Peter Hammill album is never easy, but it’s always fun. Never more so than now. Hammill’s had something of a late-career renaissance, producing some of the most intellectually dense (Incoherence) and emotionally moving (Thin Air) albums in the mid to late 2000s, plus the outstanding Otherworld with Gary Lucas, released earlier this year. But here’s the fun part: none of those albums, or indeed anything in Hammill’s expansive oeuvre, could prepare one for the sprawling …all that might have been… Welcome to a musical film, where, as Hammill says, the music is both film and soundtrack. Welcome to the world of Alien Clocks and Piper Smiles, to vocals as wild as anything since Hammill’s guest stint on Robert Fripp’s Exposure. And while you’re walking around this sonic wonderland, you won’t be able to ignore guitar riffs lifted straight out of Hammill’s pre-punk Nadir’s Big Chance album, and overall the most sonically dense and widest palette of sounds Hammill’s thrown together to date. …all that might have been… comes in two formats. The main presentation of the work is meant to be a 70-odd minute audio version of a film. To that end, snippets of songs are woven together to form a kind of anti-narrative that nonetheless gives clues as to situations and predicaments. The film that Hammill’s making, of course, isn’t a Hollywood blockbuster. It isn’t even new. Instead, it plays out like an homage to the French New Wave films, film noir, and perhaps a certain Japanese film called Audition. Hammill’s character comes off as an amalgam of all the tough-guy romantic gangster types with, if not hearts of gold, a sense of existential dread – think Belmondo in Godard’s Breathless or Pierrot le Fou. The unsettling time jumps in Hammill’s work are also a nod to Resnais’s Hiroshima, Mon Amour. The Japanese theme of the last film mentioned isn’t an accident. A good portion of the action in this album takes place in a metropolitan area of Japan. (Perhaps Hammill was doing research during his extended residencies in Japan over the past several years.) What happens in Japan stays between the 0s and 1s of the disc, but we get enough of a sense to know that our character has brought a heap of trouble on himself. And then there’s the Piper Smile. In a sense, this story, such as it is, draws heavily from several of the faerie myths of the Piper, who gave a gift to a poor soul with instructions to never disrespect the gift. As these tales go, the gift’s recipient inevitably messes up, and is left bereft once more. The woman Hammill’s character is romantically involved with is the Piper. Her gift was narrative. An unsettling but wholly satisfying piece of work for sure, but there’s more. Hammill is releasing this cine-album as a single disc, but he’s also releasing It as one of a three-disc set. Disc two of this set comprises the full songs from which the snippets that weave in and out of disc one are taken. A curious move, for sure, to release the album of actual songs as an “extra.” But Hammill’s confidence in the cine-album as having enough strength to be the leading card is well-placed. The songs, probably because in some sense Hammill knew that they were going to be spliced up, are themselves full of changes. Almost all the songs go through several dramatic changes and rarely end up where they started. It’s as if one of the epic and lengthy songs by his band, Van der Graaf Generator, was compressed into a five-minute frame, with all the abrupt changes left intact. Disc two, consists of ten excellent new songs by Hammill, which provide a hell of a musical ride of another kind. 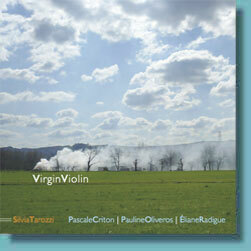 The third disc is simply four long tracks with improvisations on the main themes presented in the first two discs. A nice listen, but without the punch of the “cine” disc or the “songs” disc. Hyperbole is its own worst enemy in the genre of music reviewing, so believe me when I say I’m taking the leap anyway and putting my money on this one being the most ambitious and successful album of Hammill’s career. Cantebury’s woodland piano experimentalist and philosopher – creatively abusing the Kino upright, coaxing drones, clanks and wonder. Sam Bailey is an improvising pianist, composer, teacher and serial collaborator. In the past two years he has worked on projects with composers, improvising musicians, an 80’s rock star, dancers, poets, filmmakers, a 3D light sculptor, photographers, a mathematician and several chefs. Sam has recently finished a practice-based PhD in improvising music and he runs the Free Range series of music, film and poetry events in Canterbury, Kent. Sam’s current projects include the site specific Piano in the Woods and the synaesthesia-inducing Eating Sound. Petals/Haidryer Excommunication head droning us into a gritty bliss. One of our favourite operators on noise’s progressive fringe. Luke Nickel (b. 1988) is a Canadian composer, artist, curator, and flutist currently completing a PhD at Bath Spa University under the direction of James Saunders. Luke’s flute playing is an attempt to rehabilitate his earlier classical training by taking inspiration from (among other things) Wandelweiser, imaginary dinosaur noises, drone music, singing in the shower, and minimalist sculpture. This will be Luke’s first public performance in Bristol.